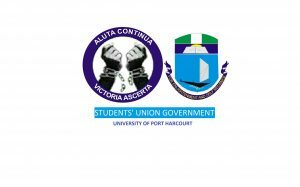 University of Port Harcourt has began preparations to host the West African University Games (WAUG), billed for November 22 to December 4, 2016 in Port Harcourt. The School is bubbling and ready for us to host the other universities vice chancellor, Professor Lale Ndowa has assured them that we will deliver a memorable WAUG Games with meticulous planning and painstaking execution of the event. He called on government, corporate sponsors and philanthropists to support the university in this quest. Prof. Lale said the Uniport places high premium on sports which is why Uniport has invested heavily in facilities and equipment. “We are the first University in West Africa to construct the new Myrtha swimming pool technology, we have consistently remained the number one university in sports in Nigeria and West Africa. We currently host the only IAAF/CAC High Performance Center for English speaking West African countries where athletes participating in major games and championships receive coaching tutorials” if you can remember Uniport hosted the 1988 and also the 2004 editions of the Nigerian Universities Games Association (NUGA).